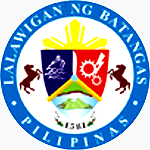 The posting of candidates for the positions of Mayor, Vice-Mayor and Councilor of the various towns and municipalities of the Province of Batangas in this web site is done as a service to the public. All lists are for the 2013 National and Local Elections and are obtained from the official Commission on Elections web site at http://www.comelec.gov.ph/ and consolidated for the convenience of the voting public. DISCLAIMER: This list of candidates as provided in this web site are extracted directly from the COMELEC web site using cut and paste technology. Any typographical errors, therefore, are not native to this web site. Please note that the lists are valid as of 31 January 2013 as indicated in the COMELEC web site.